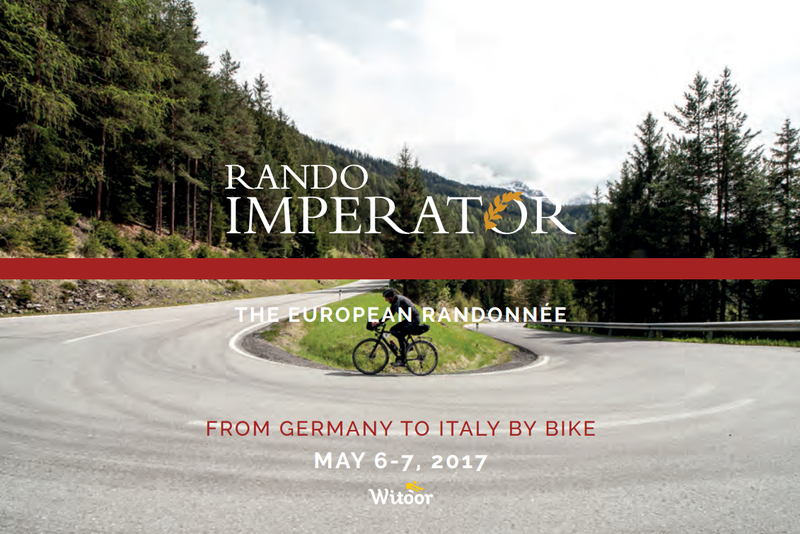 Hi there, we’re the organizers of the ‘Rando Imperator’, the randonnée that starts from Munich (Germany) and arrives in Italy. 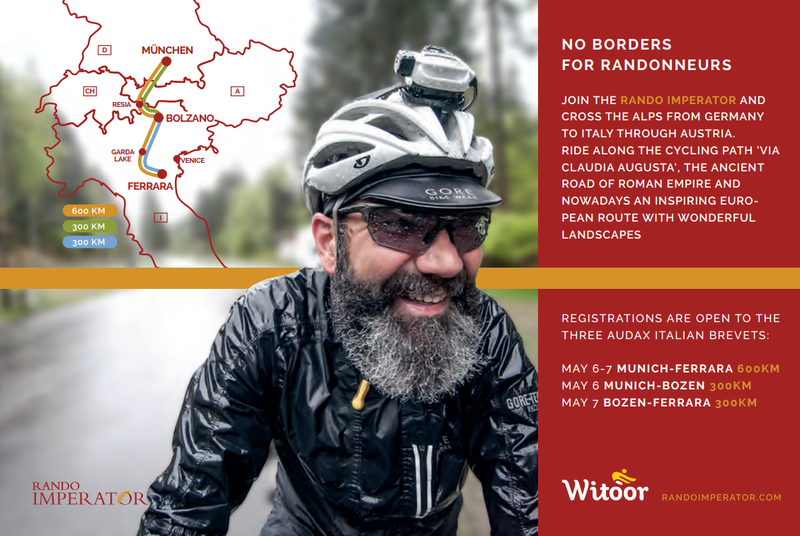 It’s an ‘european’ randonnée as the route goes through four different countries: Germany, Austria, Switzerland and Italy. No borders in Europe, for cyclists and everybody! We would like to invite you to the third edition on Saturday and Sunday May 6 to 7, 2017. You can choose one of three routes: Munich-Ferrara (600km), Munich-Bozen (300km) and Bozen-Ferrara (300km). We ride along the bike path called ‘via Claudia Augusta’ across the Alps. Last year over 150 cyclists joined the event, this year we’d love to have more subscribes from all around the Europe. We would really appreciate your presence! Thank you, and hope to see you soon. The European Randonnée from Bavaria to Italy, across the Alps and through Austria. A journey by bike along the ancient Roman road “Via Claudia Augusta”.